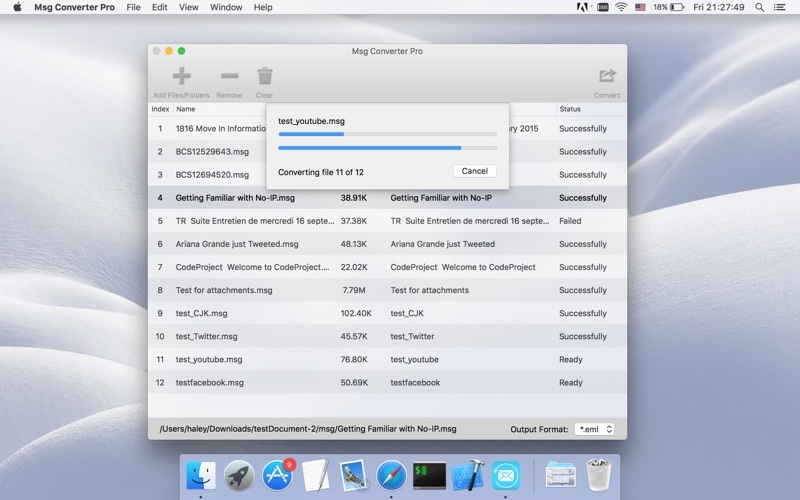 Msg Converter Pro: A simple, efficient way to batch converts Microsoft Outlook .msg files into EML, VCF, HTML, PDF, RTF and TXT files. ◆Support contact and e-mail message type input. ◆Support EML, VCF, HTML, PDF, RTF and TXT ouput. 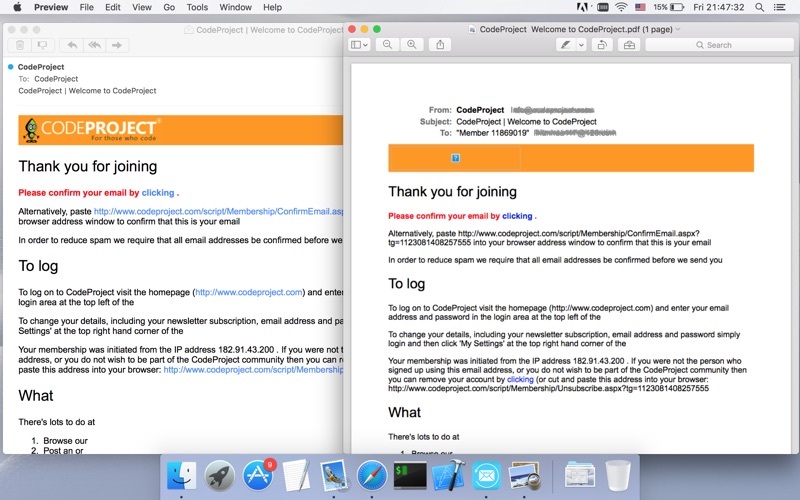 ◆Batch conversion at lightning fast speed. ◆Easy to use, simply Drag & Drop into conversion list, then just click the button to convert. ◆An advance option to add files recursively form subfolders into conversion list. ◆An advance option to maintain source directory hierarchy at destination with converted files in respective folders. ◆An advance option to order items in conversion list by source file name, file size, output name, status or manual. ◆An advance option to rename output files. ◆An advance option to convert all or selected files in the conversion list. 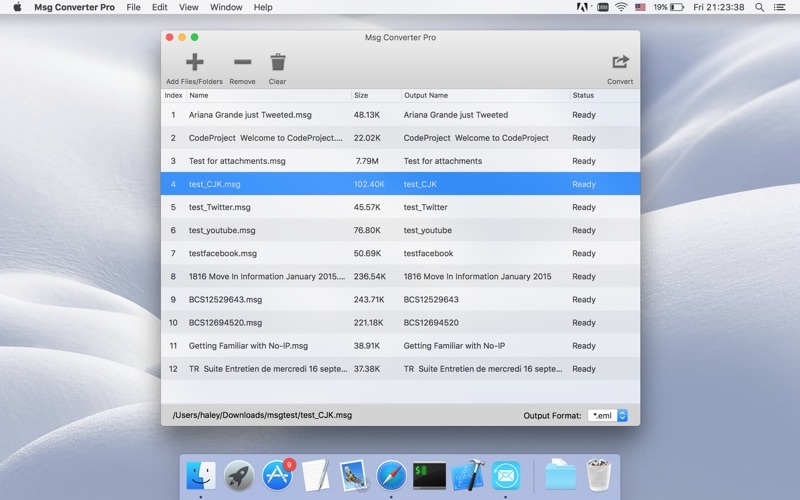 ◆An advance option to show output folder in finder after conversion or not. 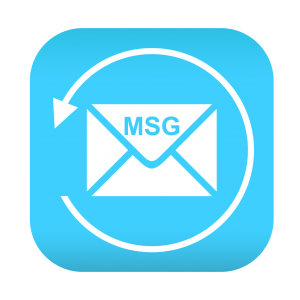 You can refer User Manual from menu "Help -> Msg Converter Pro Help” for any assistance or contact support.